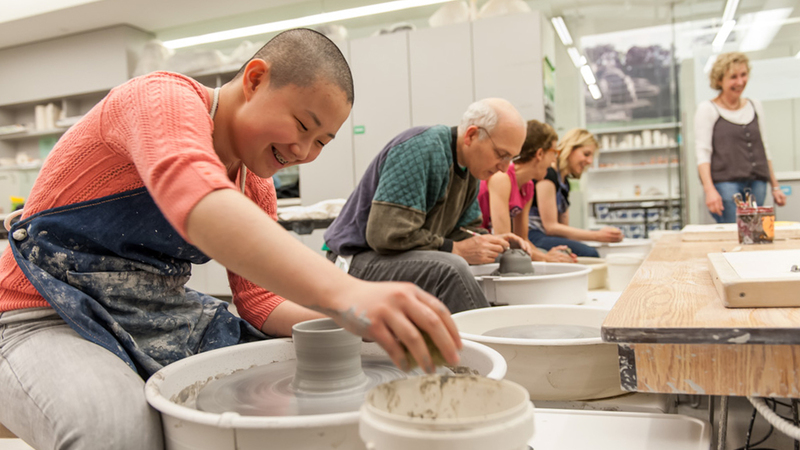 Learn the art of the potter’s wheel. Create functional and sculptural pieces with earthenware clay and glazes. Danica Drago is an artist, maker and educator from Etobicoke, Ontario, but calls many places home. Graduating from the Material Art & Design program at OCAD University, Danica's practice as a tool and object maker investigates the ways in which art, design and craft intersect, by creating functional objects that interact with the body and the spaces around us.